We’ve got some new Rewards we’ve added to the site since our Kickstarter launch, and we wanted to share them with you. 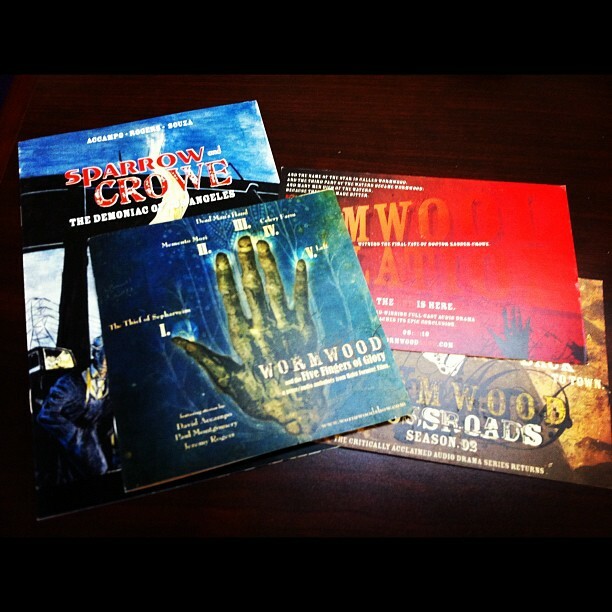 First, on our Facebook page, it’s been noted that some of our diehard Wormwood fans are clamoring for more Wormwood Memorabilia! To that end, we’ve added a few rewards aimed at our longtime audio show fans! Update #1 – we added an ALTERNATE $25 reward that’s our Audio Fan Reward. With this pledge, rather than receiving a script of the first issue of the comic book, you’ll receive a script of the FIRST EPISODE OF WORMWOOD (“The Coming Storm”) signed by Dave Accampo, Jeremy Rogers, and Rob “Sheriff Bradley” Grindlinger! A 5×5 16-page sampler book for Wormwood & the Five Fingers of Glory – a rare print edition that showcases a few of the Five Fingers stories. The Sparrow & Crowe ashcan mini-comic — ultra rare with a cover that won’t be used in the final book! This is the pitch book we used to land our publisher, so this comic contains additional insights into the “Demoniac” story arc. Only 75 of these books were printed, so these are extremely rare — a must-have for the Wormwood completist. Only 20 of these very rare sets are available! We’ve dipped deep into our reserves to pull these pieces together for you! We hope these added rewards help to bring some of our many fans out to help support the book! We really want to bring you this next chapter for Sparrow & Crowe (the prequel you’ve been waiting for! ), but we still need your support! 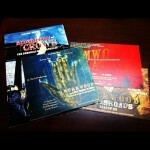 This entry was posted in Updates and tagged Kickstarter, Memorabilia, Wormwood by admin. Bookmark the permalink.